Terra from Teen Titans. Speed Drawing Video. Parts 2 & 3 of 3. My latest speed drawing: Teen Titans Go: Terra, inking stage. 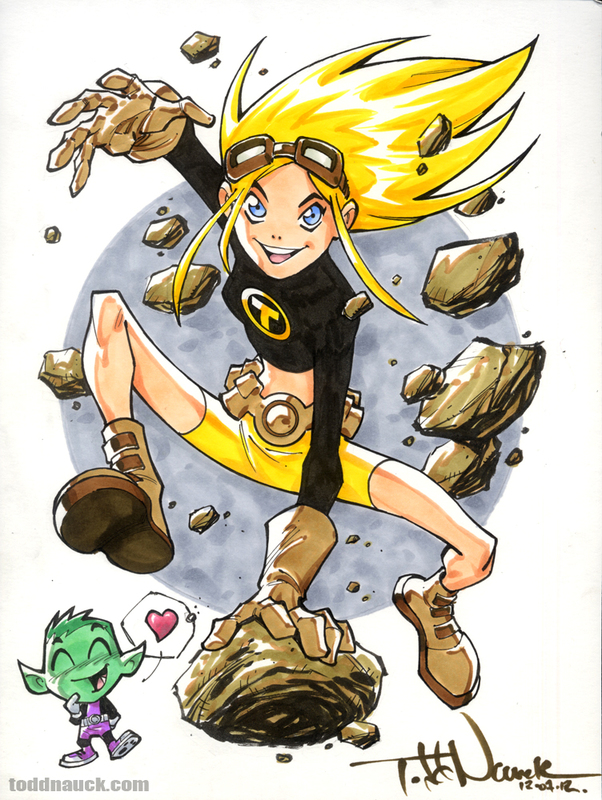 This entry was posted in DC Comics, YouTube and tagged dc comics, teen titans, teen titans go, terra by Todd Nauck. Bookmark the permalink. I have How to Draw Comics the Marvel Way. I looked at it and read through it so much over time that it’s dog-eared, and some of the pages are loose.